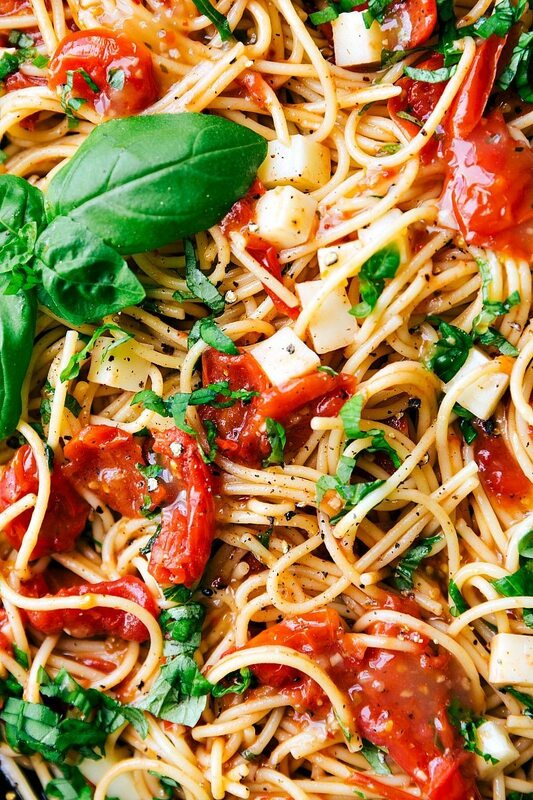 This delicious Caprese Pasta is made with angel hair pasta tossed with a cherry tomato and Zesty Italian sauce and topped with fresh mozzarella cheese and shredded basil. 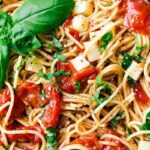 If you like cheesy flavorful pasta, having dinner ready in the time it takes to boil a box of noodles, and using minimal ingredients, then you are going to love this easy caprese pasta recipe. One of the all-star ingredients in this caprese pasta is the Italian dressing. It’s tangy, sweet, and even adds a bit of spice. Plus, it’s light which is always a plus in my book. 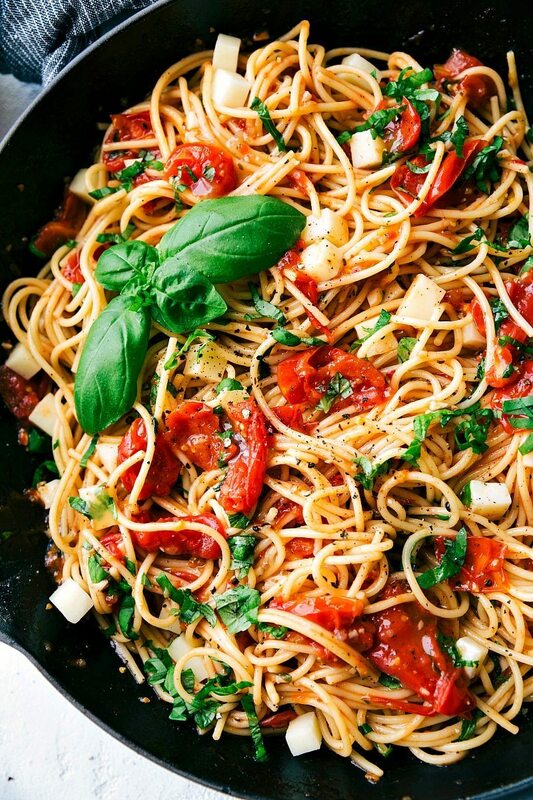 This dish whips together so quickly that you will have dinner on the table, and by dinner, I mean perhaps the easiest and tastiest pasta ever in record timing. 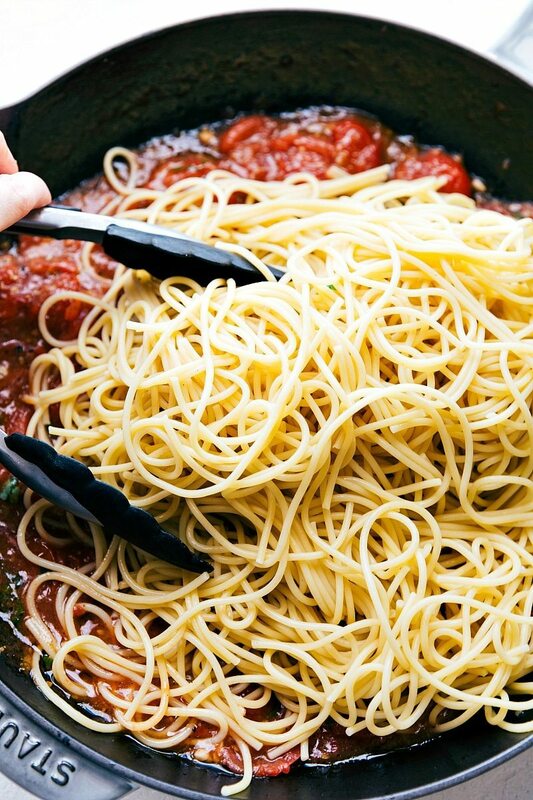 So maybe spaghetti sauce is like two minutes quicker. But this flavor beats marinara any day. Meanwhile, heat the olive oil in a large nonstick skillet on medium-high heat. Add onions and cook and stir until translucent. Add in the garlic and stir until fragrant. Add in 1/2 cup of the dressing and cherry tomatoes and cook for about 5-6 minutes, stirring occasionally. 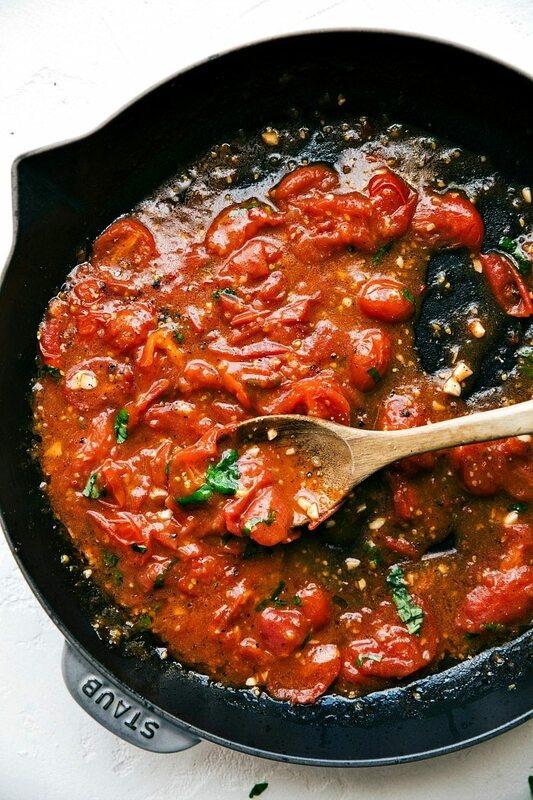 As the tomatoes cook and soften, smash them with the back of a wooden spoon. Continue to cook until the tomatoes make a chunky style sauce. (About 4-6 minutes) Add in the salt and pepper. Drain the pasta and toss with the tomato mixture. Add in the fresh basil. Season with additional salt and pepper if desired. Add remaining 1/4 cup of the dressing here and toss everything together. Add in the mozzarella cheese, chopped basil, and red pepper flakes if desired. Thanks for this recipe , was fantastic good. I added grilled sliced sausage and black olives and chopped red pepper,, used shredded Parmesan instead of mozzarella. Was seriously out of this world, my wife was ready to lick the bowl. What a compliment!! I’m so thrilled to hear this was such a big hit; thanks for the comment Jim!